A very old brandy exclusively from the 240-hectare vineyards of the Frapin estate. COLOR: Mahogany with copper highlights. NOSE: Mellow notes of vanilla and dried fruits, walnuts and hazelnuts thanks to extended ageing in new oak barrels and the age-old expertise of the Frapin family. Very smooth, complex, balanced, subtle aromas of old port mixed with the scent of wooden cigar boxes typical of a Grande Champagne distilled over lees. PALATE: Balance – roundness – richness. Exceptionally long finish in which all the flavors combine in a subtle and complex harmony. 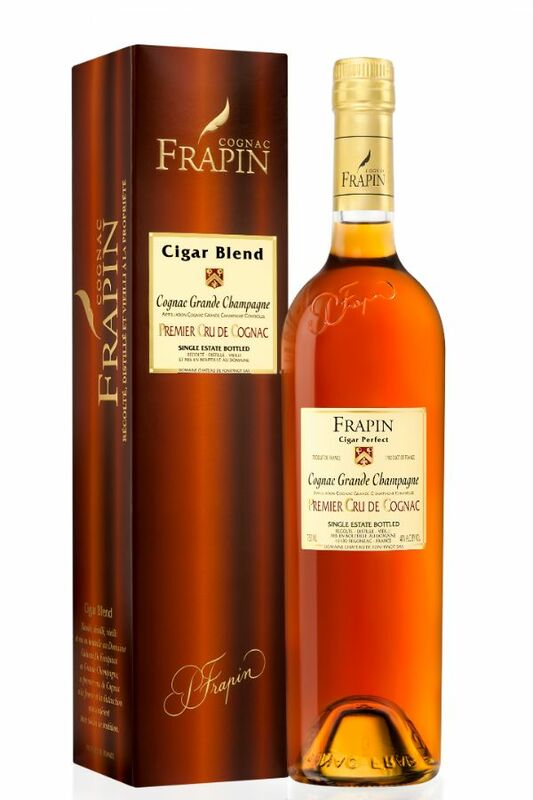 The cognac reveals a discreet vanilla note from the tannins in the wood and a consistent bouquet with persistent aromas of spices, dried fruits and "rancio." "Exceptional with a cigar, but just as good without." Patrice Piveteau, Cellar Master tasting tip: Absolutely superb with Honduras cigars and their characteristic aromas of honey, spices and dried fruit. Served at room temperature, it expresses the famous "rancio" (particular aroma of old cognacs, appearing at 15 to 20 years of age), characterized by flavors of walnuts, hazelnuts and dried fruits combined with dried flowers. To be enjoyed with the best cigars.